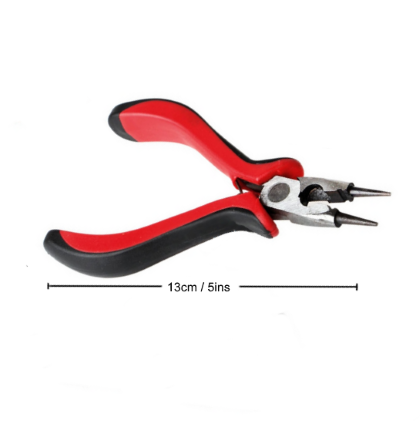 These pliers are designed for pressing crimps to monofilament fishing line, making them an essential item for anglers making their own rigs. They work with both the small Cronus Mini Crimps and Cronus Black Crimps which we sell. These pliers are a small and compact design, being 13cm in length. They are made out of stainless steel and feature a red/black soft grip handle. 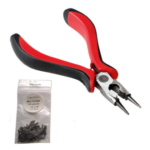 The pliers are available to buy individually, or with a packet of 100 mini crimps.